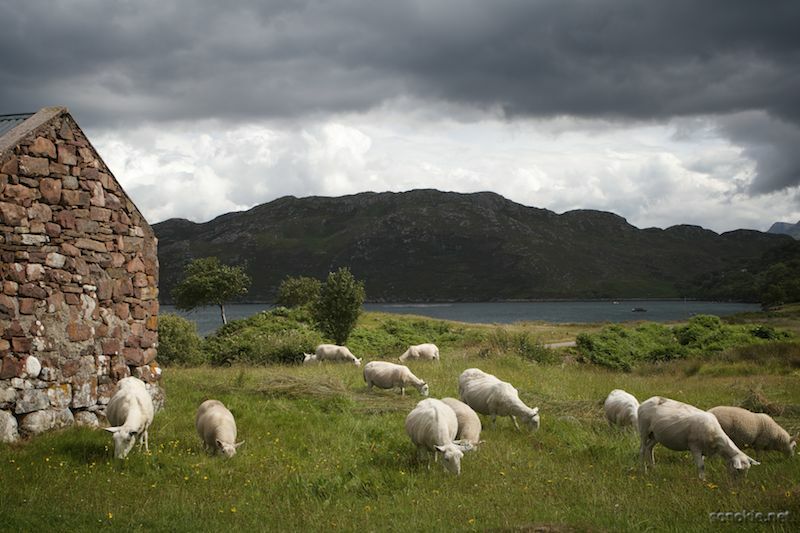 Sheep in Scotland roaming around the village munching on grass. They seem quiet and peaceful, until you click the audio player below (if you have Flash installed) to hear what they sound like! I recorded the audio on my phone, so it's actually the same sheep.